Vaishali Nagar, Nagpur - 440017. 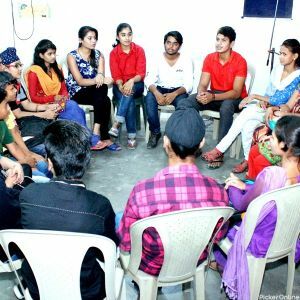 Join Thakur's sir Classes to improve your communication skill and personality development. I will join next year. First time when I came I was feeling very nervous about stage daring but now I am very confident to go... in front of them. This is a best class. This class is very good because everyday I learn many things which help me to servive in this competitive life... Sir... always tell us that nothing is impossible sir is Changed my whole life. So thank you so much sir. This is very best class for me and from this class i have learned many good thing and also my confidence... and personality has developed. There are many different types of seminars in this class and from that we got very good knowledge of all the things and i m very happy after joining this class. I am very happy to join this class.before this class join my communication skill was very low but now I am... perfect in communication and this class environment is very osmm..and I increased my confidence and this is best class for me . Before joining the thakur English Speaking class I am a very shy person, I have so fear about satge But now... a days I am so confident person & I don't have stage fear. It is a veery Good class to build up confidence am also help to develop our personality. Take a bow for motivational saminar. Mind blowing great to be here. Most important thing motivational seminar which sir conduct every month. It's motivate a lot. I think it is best class in... Nagpur for communication skill as well as personality development. Best class for group discussion and bublic speaking...great technique how to pass group discussion. a good education can change any one. thakur sir teaches english in a very easy way. 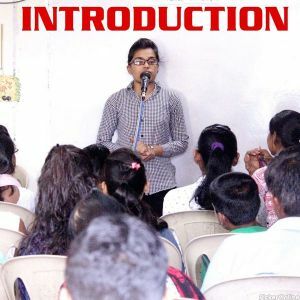 It the best English class in Nagpur..Right from starting,Thakur sir took all his efforts to concentrate at each and every student... in class and make them progress..Use different techniques to remove stage fear and correct grammar..I personally want to thank him coz I have seen lot of progress in myself. This class is excellent.. Hats off to their dedication and hard work. Even a weakest student can learn. What can i say about this class...none of the word can express the personality of The THAKUR SIR A must join... class for teenagers and youth. Not only English Communication but also the art of living is being taught here. And i am damn sure that after completing the class everyone will say just one thing that this class has given him/her a best memorable period of a life. I had a lot of fear to speak in public. but the institute help me in no time. My personality... like... how do I carry myself on the stage... my grooming sense ... my confidence... my vocabulary.... and my knowledge .... toward English everything improved and I am very much happy Thank you THAKUR SIR. I would highly recommend this class to all. This class is very apriciatable. 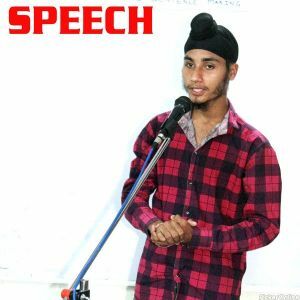 students get confidence to speak anywhere and get chance to become good person in our... life. I joint this class now I am able to do communication any where. Thank u sir for your help. 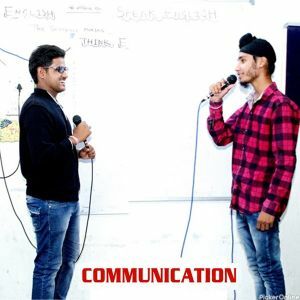 Very great to join this class specially for English communication and people who are seeking for job and interview techniques.totally professional... course and many more.motivational lectures Rock. I got lots of knowledge from this class. Sir always motivate to students to choose right path... for their future. And sir always says think english and speak English. My experience is very good after joining this class. In my opinion this class is awesome i am studing here since long time and i improve my English... day by day and also i changed my thinging pattern and gain lots off knowledge. Hi... I learnt English in Thakur English speaking class. this class very very good and motivatonal and inspiring class . When I... came here my English was not so good .but now I can speak english very fluently and confidentially . THAKUR Sir always take group discussion, public speaking ,personality Development lectures and many more knowledge I gain form this class Thanks a lot Thakur's English speaking and personality Development class...for your support. nice place to learn English from basic to fluent English best class ever. I love the environment of this class and the way of learning English. Think English, Speak English. Please joined and make your... confidence level. I have joint this class for improving my english and my confidence . now i have a good experience. After joining... this class i learned many things from this class. 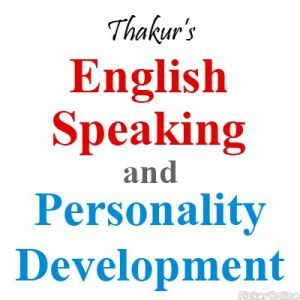 Thakurs speaking class is very good class for English beginner and he have a lot of English knowledge. He have a... good knowledge of American accent, we love this class most. Etc. Very Good study in class and teaching also good i am able to communicate now. This class is very good for me because of this class i have so much confidence and my english is improve... .The environment of this class is very good and i have learned many good things from this class .This class is starting point of my success and this class give me confidence that i can do anything in my life. I love the environment of this class and the way of learning English. Think English, Speak English. This class is very good for me because of this class now I have... lots of confidence and communication skill. This class change my whole personality . This class is very very good to improve persnality & thakur sir also tell many knowledgable thing that are... very good & also many special lectures happen hear that increase knowledge. It's been around 3 months I have joined this class and I have noticed the drastic change in my english language... as well as in my confidence. Now m better able to put my views in front of different type of people. The major thing of this class that I like the most is the daily communication, GD, surprise activities etc. It is a best class.. Teaching is awesome The best insperation and motivational class. First of all thanks Mr.Thakur Sir for teaching English Speaking and Agar kabhi koi mujhse life me Scusses ke pata puchega... to mai Thakur Sir ka naam luga. If you want to groom your self come in Thakurs English speaking Class. I have changed my life and personaity too....proud... to become part of it. The best inspiration and motivation I got from this class, teaching is also best, as early as possible we can learn... English by easy method of Thakur Sir. Class is good for communication skill. Great to be here. Every person is born with abundant talent but needs a Guru to channalize it. in every phase of life. I got... the best environment to grow myself with the midas touch my Guru Hon.THAKUR SIR. Apart from developing myself I got the golden opportunity to relive my childhood here. Such a wonderful atmosphere, excellent coaching, so coeprative staff. I am completely happy and satisfied. I gained more than I expected.... Even after my duration is over I am getting assistance when ever I required. Now am happy to be a part of ex students association of the institute in what's app group. Here also I am gaining a lot. Thakur sir has spoken once that learning is ageless.....timeless......endless. And he proved that. No words to thanks him. Thanks to the yamini ma'am and Thakur sir. Will remember you all my life. easy method and techniques which provide full understanding. Thakur Sir start course with ABCD so that anybody can learn perfectly. ... I feel more confident now and always speak in english only. I like this class. Thakur sir rocks. I learnt fluent English Speaking because of sir. Great experience.... Specially English communication practice where you learnt each and every day something new. Thakur sir is very professional trainer... teaches student differently so that we conceive everything in mind and perform every day in the stage. Thanks for everything. Great class to learn english speaking and stage daring....I like every seminars of personality development. Thakur sir is awesome.